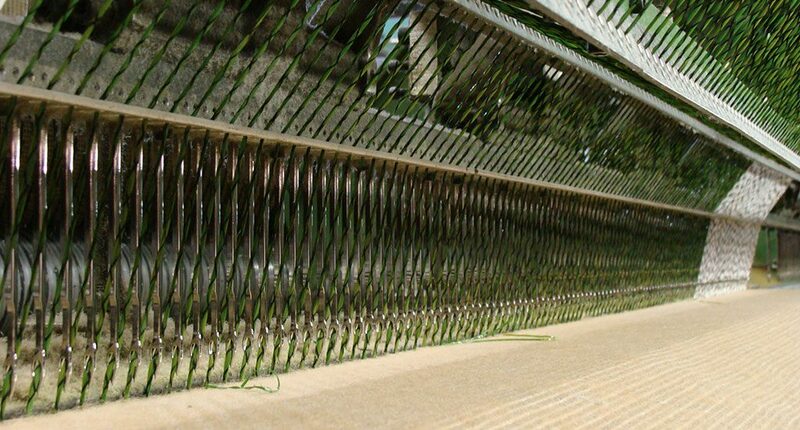 How is artificial grass made? Before artificial turf is ready to be laid, it has undergone a long production process. The manufacture of artificial turf consists roughly of five different phases. Tuft, as you can see in the above image, is best described when applying the grass fibers to the canvas. The fibers are on large bobbins, and are stitched into a four-foot canvas (the backing). For this purpose a so-called tufting machine is used. The pipes guide the fibers to the machine and, as with a sewing machine, are pinched in the cloth. With a hook, the fibers are retrieved, causing a loop. 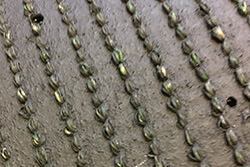 The loops are cut, what creates the fibers. After tufting, you can recognize the artificial lawn. However, the fibers are not yet firmly locked and are easy to pull out of the backing. 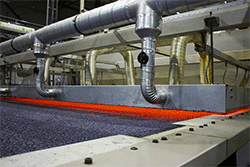 To anchor the fibers, the carpet is coated with a coating. This glue layer ensures that the fibers are locked into the backing. The coating generally consists of a black layer at the bottom of the mat. Drying the coating is an important step in the process. 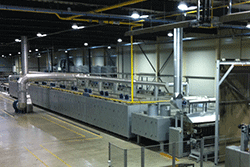 Lower quality artificial grains are often stopped in a drier immediately after coating. 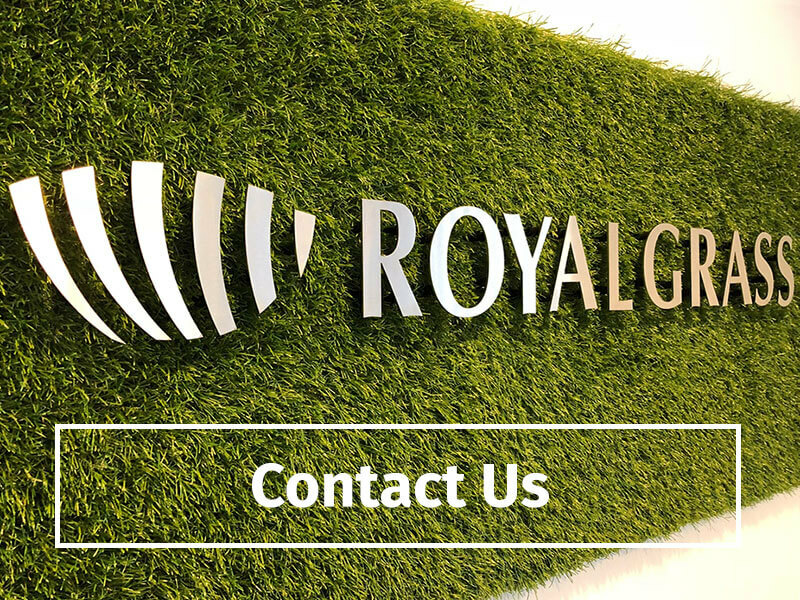 However, Royal Grass® first gives her artificial turf a special treatment with an infrared lamp. This causes a part of the moisture to drain before the mat enters the dryer. This allows the oven to dry the carpet at a lower temperature, which benefits the quality. It is important that the artificial grass drains. Therefore, small holes are made into the backing. You can imagine that the backing becomes less strong. Therefore, Royal Grass® always uses double backing, so this is not a problem. The last step is rolling up the carpet. 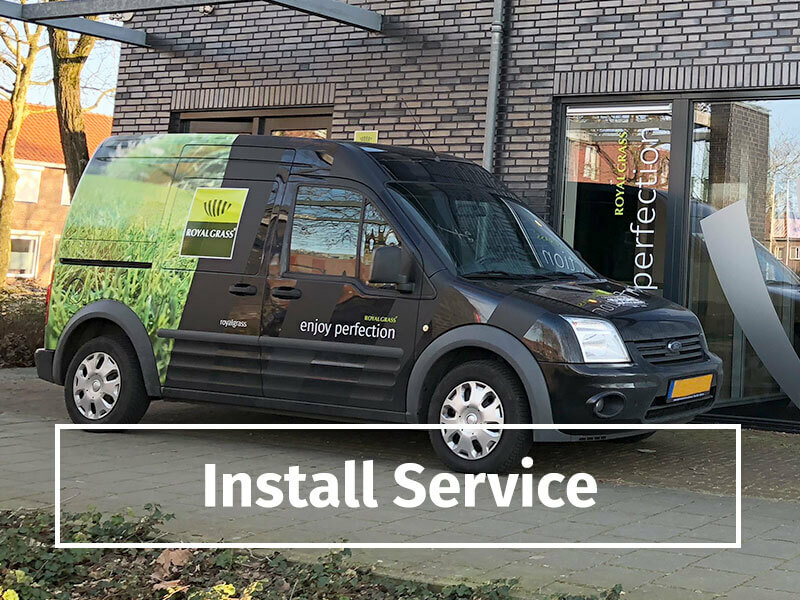 It is important that the carpet is tightly rolled up so that the fibers are protected and the artificial grass can easily be moved without damaging it. The artificial grass is rolled on a 4 meter wide and (mostly) 25 meter long cardboard tube. This happens in such a way that the tension is exactly the same everywhere. If this were not the case, the grass slows down in places where pressure is less. This can cause pieces that are unusable when installing. In the end, the roll is wrapped with foil to protect it. 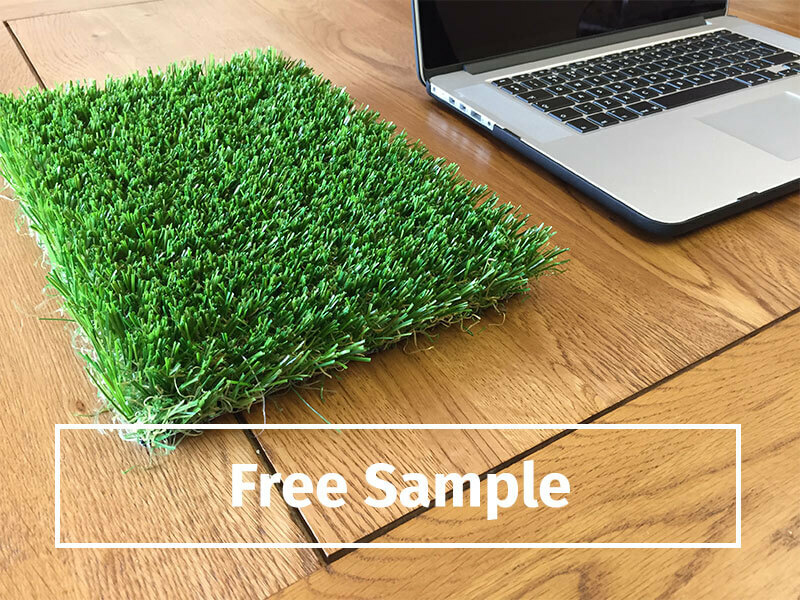 Previous post Artificial grass for pets Next post Buying artificial grass – what is important?